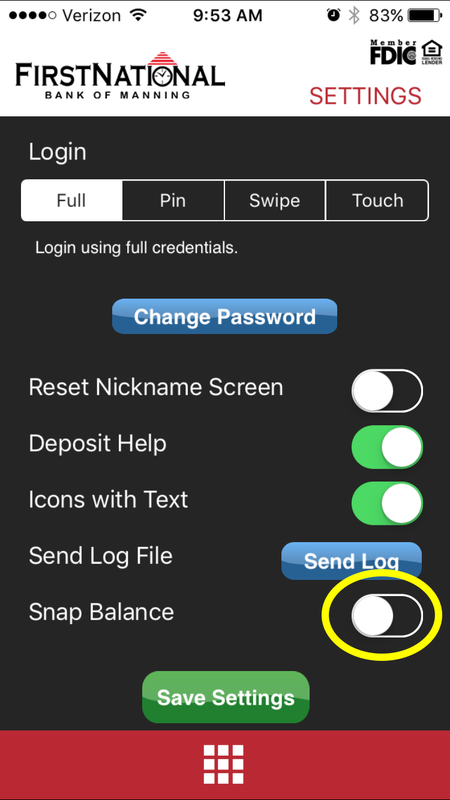 You have the option to login using your full password, a pin, a swipe pattern, or touch ID. 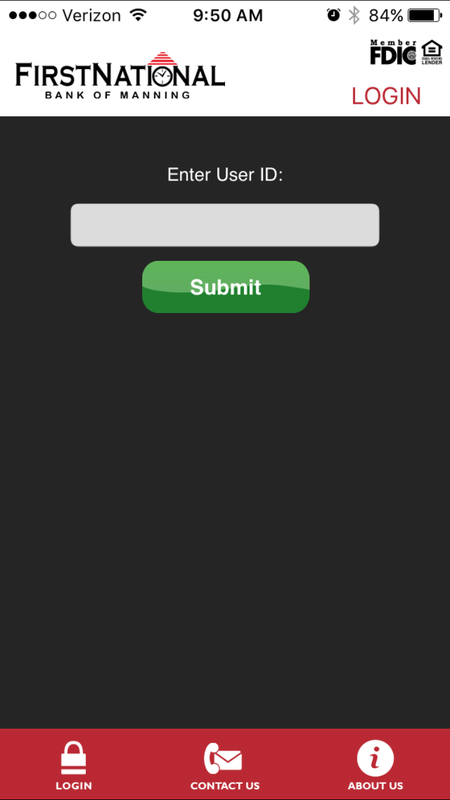 You can change your login style at any point from the mobile app. After logging in, tap the red bar with a white grid at the bottom of the screen to pull up the menu, then tap “Settings”. 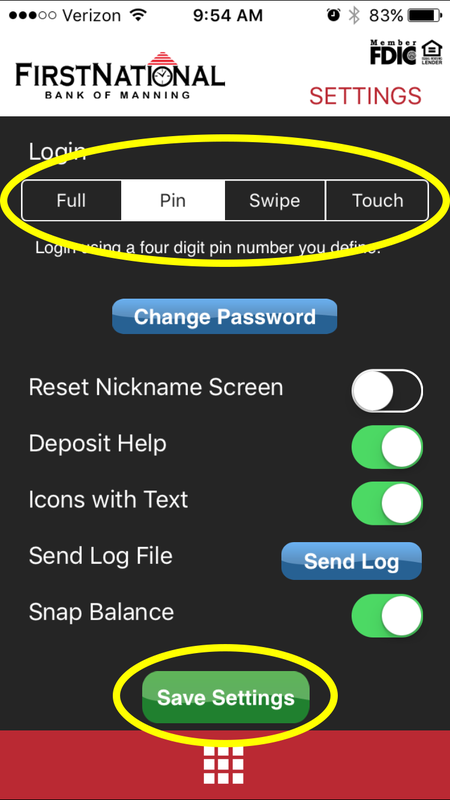 Choose between Full (password), Pin, Swipe, or Touch ID. Then tap “Save Settings”. *You can change between any of these options at any time. If you want a Pin, select the four digits you would like. You’ll be asked to select the same digits twice, then you’ll get a confirmation of the login change. 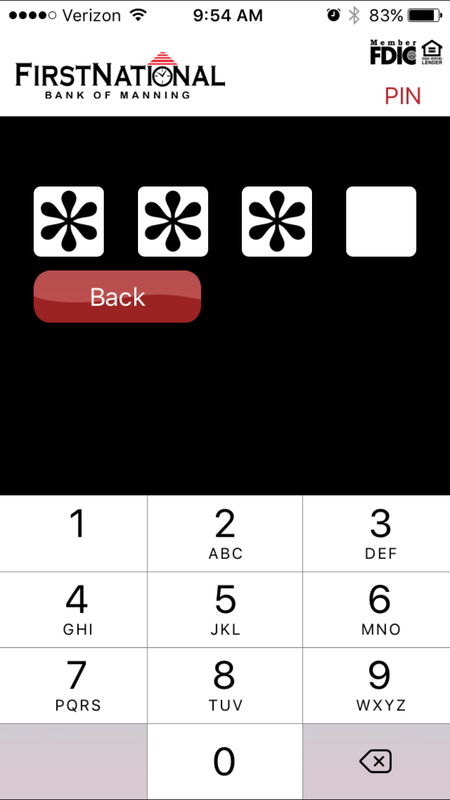 If you selected Swipe, you’ll be asked to choose a pattern by swiping across the grid. After confirming the pattern you’ll be sent to the home screen with a login change confirmation. When choosing Touch ID you aren’t required to enter additional information. 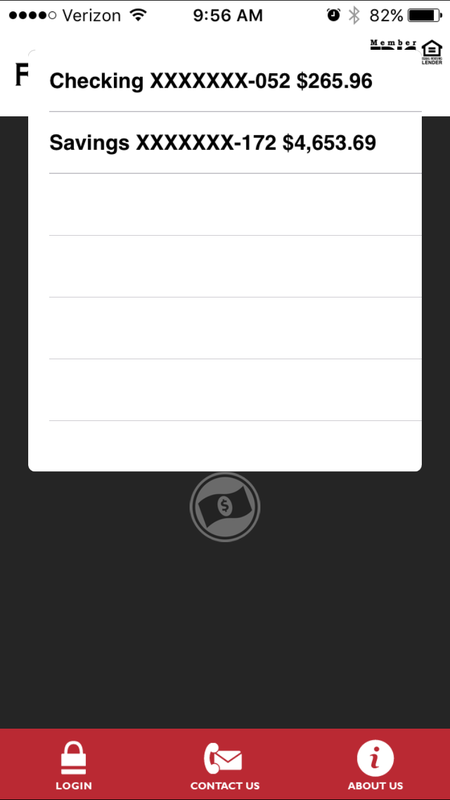 This will use the fingerprint(s) already stored on your device. Snap balance allows you to view your account balances before logging into our app. This feature is great if you just need a quick overview on the status of your accounts. After downloading our app from the Google Play or App Store login using your online banking information. Tap the red bar with a white grid at the bottom of the screen to pull up the menu, then tap “Settings”. Toggle Snap Balance on. You’ll get a message describing the feature, after reading it, tap “Ok”. 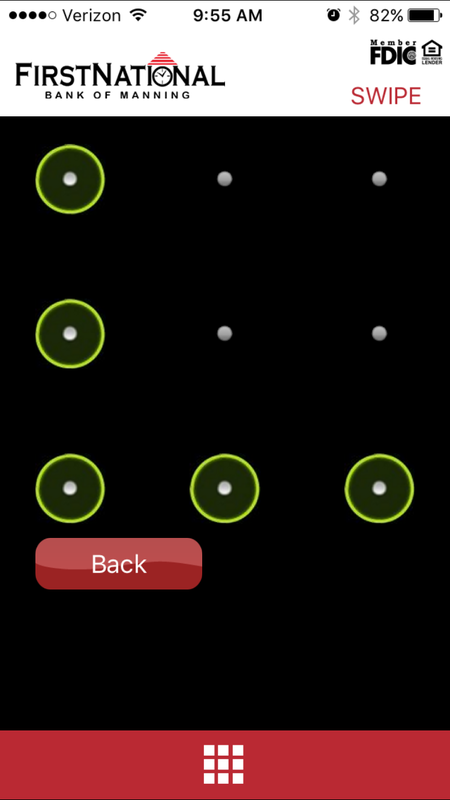 After tapping “Ok” the toggle should now be green. Tap “Save Settings” at the bottom of your screen to finish setting up Snap Balance. 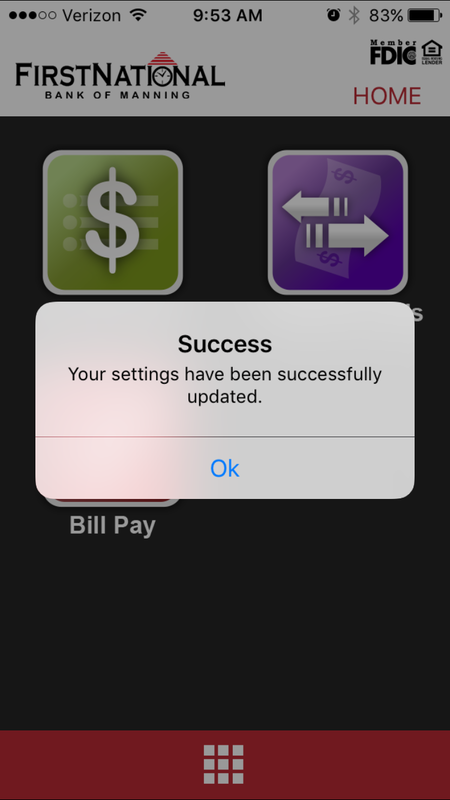 After saving, you’ll be sent back to the home screen with a success message that your settings have been updated.